Equipped with proactive malware defense and engineered to be light on your systems, endpoint security gives you the protection you need with fewer interruptions and false positives. NOD32 Antivirus is ESETs most basic security offering, providing stateoftheart security for a single PC. An ESET Virtualization Security for VMware NSX and vShield appliance streamlines the agentless protection of all virtual machines and provides high performance security that won't slow down your VMs. The ESET Direct Endpoint Management Plug-in for ConnectWise Automate is developed by ESET in cooperation with ConnectWise to deploy, manage and report on ESET endpoint products within your ConnectWise Automate Console. 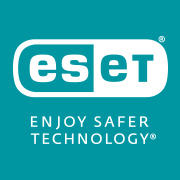 ESET Enterprise Inspector is ESET's Endpoint Detection and Response (EDR) tool for identification of anomalous behavior, identification of breaches, risk assessment, and further forensic investigation that features response capabilities to mitigate the discovered threats.